"I don't mind living in a man's world as long as I can be a woman in it." The Melodic Sirens Guild is one of the top light guilds within Fiore. This distinguished guild is known as the strongest female guild, by using the combination of beauty, power, and fragility to succeed in the world of magic. Its first guild master Gemma Adella founded this guild roughly around the time of X291. 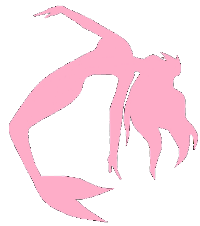 Every since Mistress Adella founded Melodic Sirens, it has kept its strict code of conduct of being a female only guild. Some of the legendary wizards in today’s world have been apart of this estrogen only guild, and to this day they keep producing some of the top mages within Fiore. The Melodic Sirens Guild is located within the majestic Waterfall City, surrounded by hundreds of waterfalls and vast mountains. The second master, Mistress Melody Andrina, is currently the youngest Guild Master within Fiore, but don’t underestimate her ability to control magic and lead this exquisite guild into a prosperous future of beauty, power, and fragility. “The beauty of a woman is not in the clothes she wears, the figure that she carries, or the way she combs her hair. The beauty of a woman is seen in her eyes, because that is the doorway to her heart, the place where love resides. True beauty in a woman is reflected in her soul."